Rustavi-2 is the most popular television channel in Georgia. It has the most advertising revenue and airs most of the country’s top-watched programs, including news shows. 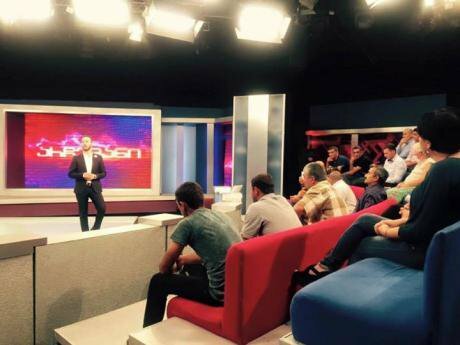 In opinion polls, over 80 per cent of respondents say they regularly watch the station (together with Imedi, Georgia’s second most popular channel). That is why a controversial Tbilisi court decision to take the station away from its opposition-affiliated owners has caused such consternation. It has raised questions about media freedom and the rule of law under the watch of the Georgian Dream ruling coalition, which came to power in protest against the former government led by Mikheil Saakashvili, which often disregarded both. The present government has pledged to adopt democratic European values and is working to implement governance reforms as part of an EU association agreement. Whether the legal process can now right itself will be an important test of Georgia’s democratic standing. Ideally, potential injustices leading to Rustavi-2’s current ownership status can still be properly investigated and remedied. But this should not come at the cost of rule of law abuses and the undermining of Georgia’s democratic media environment. Rustavi-2 also has a reputation for being close to politics. The station was a fierce critic of Georgia's second president Eduard Shevardnadze and an active supporter of the 2003 Rose Revolution that brought Saakashvili to power. Under his rule, Rustavi-2’s independence was eviscerated and the station came under close governmental control. After the 2012 defeat of Saakashvili’s United National Movement (UNM), Rustavi-2 remained under the control of UNM associates, including station director Nika Gvaramia, a former UNM parliamentary deputy and minister. Rustavi-2 also has a reputation for being close to politics. Under Gvaramia, the station has once again embraced its role as a platform for government criticism. Its public relations director Nino Nakashidze has called Rustavi-2 “the most critical and pro-opposition” television channel in the country. In polls conducted in 2013-2014, some 40 to 50 per cent of Georgian respondents agreed that Rustavi-2 represents the views of the UNM (around 20 per cent disagreed). Rustavi-2’s open attitude to the opposition potentially poses a challenge to the government in the run-up to next year’s parliamentary elections. The ruling Georgian Dream coalition has seen its popularity plummet since the end of 2013. A poll from August 2015 suggested it has a devastatingly low level of public support (14 per cent), neck-and-neck with the UNM, which has retained a small but consistent base in its years in opposition. Behind Rustavi-2’s popularity and politics lies a murky ownership history. In 2004, its founders, Erosi Kitsmarishvili, Davit Dvali, and Jarji Akimidze, sold 90 per cent of the company under the questionable threat of bankruptcy to an intermediary that then transferred ownership to businessman Kibar Khalvashi, the plaintiff in the current case. Rustavi-2 was an active supporter of the 2003 Rose Revolution that brought Saakashvili to power. (c) Sputnik/RIASubsequent ownership transfers were for years obscured through the use of transactions involving middlemen, various business holdings, and (until 2012) shell and offshore companies. Since the initial sale, Rustavi-2 has passed through the hands of five major UNM-connected sets of owners – Khalvashi (2004-2006); Robert Bezhuashvili, father of UNM parliamentarian Davit Bezhuashvili and former minister Gela Bezhuashvili (2005-2011); Bidzina Nizharadze (2006-2009); Giorgi Gegeshidze and his widow Nino Nizharadze (2009-); and brothers Levan and Giorgi Karamanishvili, current owners of over 90 per cent of the station (2011-). The circumstances of Rustavi-2’s initial sale remain obscure. There are indications that former general-director Kitsmarishvili collaborated with the UNM government to transfer the station to the state’s control. But by 2008, Kitsmarishvili appears to have regretted this decision. He accused Saakashvili of secretly controlling the station and claimed he would one day regain his ownership share. After the 2012 change in government, he again expressed a desire to recover the station, and so did his estranged co-founders Dvali and Akimidze. So too did their successor Khalvashi. By mid-2013, an official investigation into the claims of Dvali and Akimidze was reportedly underway. As for Kitsmarishvili, he was found dead by a single gunshot last year in what investigators tentatively labeled a suicide, although the circumstances of his death remain unresolved and his friends and associates remain sceptical. The dispute over Rustavi-2’s ownership echoes a past dispute over Georgia’s second television channel, Imedi. That dispute also involved a murky ownership takeover by government-connected figures. Imedi was founded by oligarch Badri Patarkatsishvili, whom the UNM government accused of fomenting regime change in 2007 and who died of a heart attack shortly thereafter. After his death, an ownership dispute arose between Patarkatsishvili’s widow, an alleged Georgian-American step-cousin, and a mysterious shell company. But unlike in the case of Rustavi-2, the Imedi takeover was eventually righted after its UNM-affiliated owners transferred the station back to Patarkatsishvili’s widow less than three weeks after the UNM lost power. Legitimate questions exist about how Rustavi-2 ended up in the hands of its current owners. 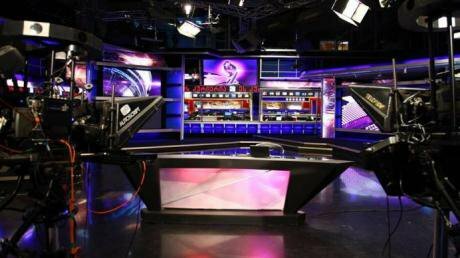 These questions have been sidelined, however, as a result of the questionable process by which a Tbilisi City Court judge has ruled to deprive the owners of the station. While the case must still pass through appeal, the process so far suggests court complicity in developments that have had little to do with the rule of law. A major concern has been the court’s readiness to accept at face value the questionable legitimacy of plaintiff Khalvashi’s ownership claims. It was not his claims but those of co-founders Dvali and Akimidze that prompted the initial investigation. Their claims, in turn, rest on Khalvashi’s involvement in a potentially illegal plot to deprive them of their rightful ownership. The three founders officially (and, they say, reluctantly) sold the station to Khalvashi for a total of $250,000, but Khalvashi claims that he actually paid over $7 million. Intriguingly, the Georgian government acknowledges such infelicitous details; a brief on the Rustavi-2 case that the government circulated in a public email received by the author states that the “real” amount of the sale was around $2 million. Rustavi-2 is the most popular television channel in Georgia. It has the most advertising revenue and airs most of the country’s top-watched programs. FacebookAlso of concern is the informal alliance that has emerged between Khalvashi and his former victims and newfound allies Dvali and Akimidze. Once the judge issued his verdict, it emerged that Khalvashi and the two founders – and, evidently, the judge himself – were working in tandem. Pending appeal, the court unexpectedly resolved to replace Rustavi-2’s management with a temporary team, one of whom was Dvali himself. The three past owners then appeared at a joint press conference, at which Khalvashi announced he had made a deal to give half his shares to Dvali and Akimidze in the event that the court’s decision is upheld. Finally, there is the degree of interest the government has taken in the case. With Kitsmarishvili dead and successive owners silent, the dispute has ended up between Dvali, Akimidze, and Khalvashi, on the one hand, and the current owners, on the other. In this dispute, the allegedly aggrieved trio has had the support of the government from the start. In November 2012, then-Prime Minister Bidzina Ivanishvili, the wealthy businessman who is still widely assumed to play a prominent informal role in government, said at a press conference that he knew that “two owners [i.e., Dvali/Akimidze and Khalvashi] are claiming Rustavi-2, sorting out relations between themselves.” Referring to all three, he said he considered them to be the station’s real owners. Soon after, the late Kitsmarishvili cited another of Ivanishvili’s media appearances as evidence that the government was improperly involved in the case and, in particular, favored Khalvashi (whose sister is a member of parliament from Ivanishvili’s party). A number of other concerns have also marred the case. At the outset, the court granted Khalvashi’s request to freeze Rustavi-2’s assets, not only barring its owners from selling shares in the company (which they were in fact trying to do) but forbidding the station from selling or renting equipment and other property and limiting its ability to take loans. The court managed to issue its verdict less than three months after Khalvashi filed his lawsuit – an extraordinary feat given the complicated web of tangled claims surrounding the station’s ownership and the dearth of hard evidence for many of Khalvashi’s claims. Finally, the verdict hinged on Khalvashi’s claim that he sold the station at a price far less than it was worth, without regard for the fact that this is also how he (at least legally) acquired the station in the first place. Legitimate questions exist about how Rustavi-2 ended up in the hands of its current owners but these questions have been sidelined. After the court moved to replace Rustavi-2’s senior management, general director Gvaramia termed it a sign that ʻdictatorshipʼ had been established in Georgia. In truth, while there is reason to suspect political interference and/or judicial corruption, the case has widened existing fissures within government and could yet be resolved in a rule of law fashion. According to opinion polls, over 80 per cent of respondents say they regularly watch Rustavi-2. FacebookPrime Minister Irakli Gharibashvili, Ivanishvili’s protégé, stayed firm in insisting that the government had nothing to do with the case. After the court ruling, he insisted that ʻthis is a private ownership dispute between two parties, which has been decided upon by the court, in accordance with due process and the rule of law…. [W]e all – including the government – must get used to obeying court decisions in our modern and democratic Georgia…[w]hether we like it or not.ʼ At the same time, the government thought nothing of circulating (in the above-mentioned email) leaked and likely illegally-recorded transcripts of phone conversations between Saakashvili, Gvaramia, and another former government official that appeared to confirm the station’s close relationship to the UNM. The Rustavi-2 case is the most persuasive sign to date that the government is willing to engage–or at least tolerate–the same kind of abuses that brought them to power in the first place. These fissures extend to the judiciary itself. Georgia’s Constitutional Court is chaired by a former minister in Saakashvili’s government and has developed a reputation for decisions that contravene government wishes. The day before the Tbilisi city court issued its verdict, the Constitutional Court agreed to Rustavi-2’s request to temporarily suspend a legal provision allowing lower courts to immediately enforce decisions that have yet to go to appeal. The Tbilisi court’s decision to remove Rustavi-2’s management appeared to be an effort to circumvent this ruling. But this proved a step too far; even Ivanishvili acknowledged that the Tbilisi judge’s decision raised “questions” that the courts needed to resolve. Sure enough, the Constitutional Court then suspended a second legal provision that the Tbilisi court had used to make its decision (and which it had partially retracted on its own the day before). Counterbalancing domestic and foreign pressures may yet steer the appeals process toward resolution of the dispute in a way that is more genuinely in line with the rule of law. Ideally, this would entail a far broader review of the case, including a thorough accounting of the full sequence of ownership transfers and a more honest determination of whether any aggrieved parties deserve compensation. It is another question whether such a far-reaching investigation is possible at this point, or whether the parties involved would actually desire it. Meanwhile, the case has raised new questions about the state of Georgian democracy. 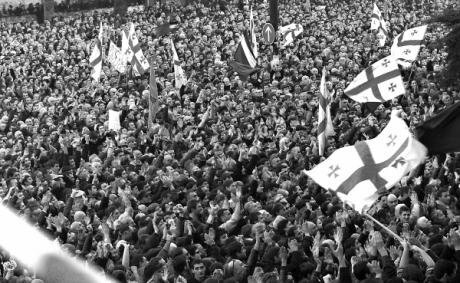 The Georgian Dream was popularly elected in large part as a reaction against the former government’s frequent disregard for the rule of law. The Rustavi-2 case is the most persuasive sign to date that the government is willing to engage–or at least tolerate–the same kind of abuses that brought them to power in the first place. Whether the system will now right itself stands as a test of Georgia’s democratic governance. Behind all the hullabaloo lies a fundamental issue concerning the relationship between media and politics. For now, Georgia’s most popular television station retains its function as a government watchdog by virtue of its opposition affiliation. On balance, that is something that contributes to the maintenance of Georgian democracy, together with respect for the rule of law. This article was originally published by our partners PONARS Eurasia as Policy Memo 400.